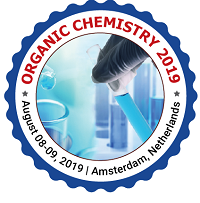 Track 6-1Medical applications of organometallic compounds. Track 6-2Biologically inspired organometallic catalysis. Track 6-4Organometallic-modified proteins and nucleic acids. Advancement of computer in chemistry is an emerging field which involves the use of computer simulation to predict, understand, or explain chemical reactivity and solving chemical problems using the methods of theoretical chemistry, incorporated into efficient computer programs, to calculate the structures and properties of molecules and solids. Session will focus on discussing the current progress in the chemical reactions to make its effect less ethical to human and environment. So many chemicals emission causing adverse effects on human health, as well as effecting the global climate. Understanding the solution and new ideas to deal with it is the principal focus.